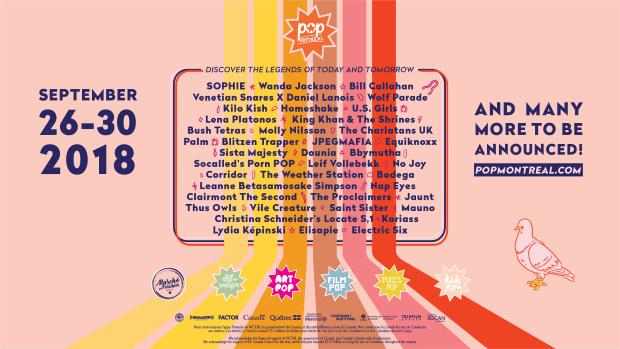 The Pop Montreal festival has announced its initial lineup for 2018. 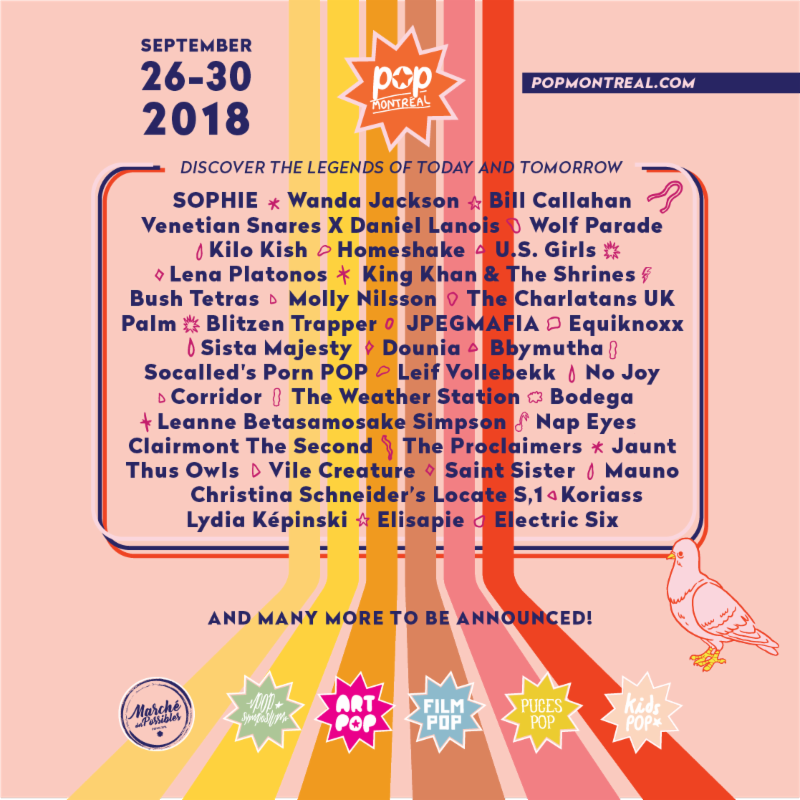 It’s taking place on September 26-30 at venues throughout Montreal, and the lineup is topped by Wolf Parade, SOPHIE, Wanda Jackson and Bill Callahan. 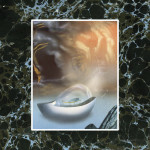 Also featured on the lineup this year are Venetian Snares x Daniel Lanois, Kilo Kish, U.S. Girls, Electric Six, King Khan and the Shrines, Bush Tetras, JPEGMAFIA, No Joy, Leif Vollebekk, Nap Eyes, Blitzen Trapper, The Charlatans UK, Molly Nilsson, Lena Natolos, Homeshake, Lydia Kepinski, The Weather Station, Socalled, Corridor, Equiknoxx, Clairemont the Second and more. Take a look at the lineup on the poster below or on the festival website. More artists are expected to be announced in the coming months. Tickets are on sale now, ranging from $10 for individual shows up to a $100 Discovery Pass, which gives attendees access to all shows as well as art, film and food events.